The prominent property at 64 North Terrace, Kent Town, has always made a splash, firstly as the home of one of SA’s first premiers, Sir Frederick Holder, then as a theological college and later as Pepper Studios, the source of many of Adelaide’s memorable early television advertisements. 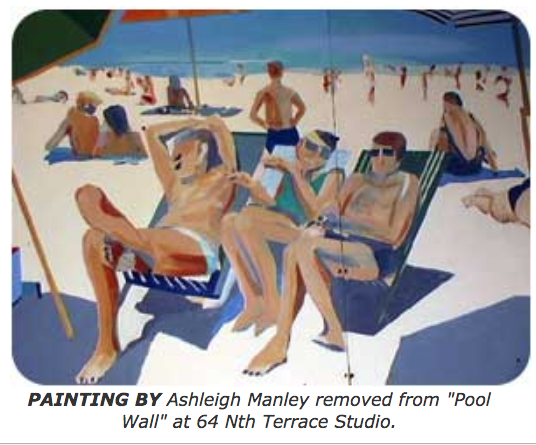 However, one of the most notorious chapters in this long and storied history involves its reputation as “the place with the pool”. Located behind the former Parkin Theological College building on the left, the swimming pool was regularly used for dips during the 1980s and 1990s, as part of the riotous parties when the property was Pepper Studios, run by renowned audio and film producer Max Pepper. Mike O’Reilly, a serial tenant at Pepper Studios during the 1990s, said the biggest splash in the pool involved the West End Girls, a television troupe recruited to promote SA Brewing during the competitive “beer wars” era. “After recording an advertisement one hot summer afternoon, everyone went out the back to unwind over a drink,” recalls Mike. One day that was not relaxed was Friday, September 15, 2000 – the day that the Olympics opened in Sydney – when staff and tenants discovered that many were losing their jobs and tenancies in the coming weeks. Among the tears and farewells and quite a bit to drink, a window was accidentally broken in the office that overlooked the swimming pool. But today at Base 64, the swimming pool no longer presents a temptation for skinny dipping or a risk of broken glass. During major renovations in 2013 and 2014, the derelict pool was replaced by a 50,000-litre rainwater retention tank, covered with a wooden-decked barbeque area. Sir Frederick Holder, a founding father of Australian Federation, twice Premier of South Australia and the Federal Parliament’s first Speaker, was an illustrious resident of Wavertree mansion. In those days, Wavertree, the original and only building at the current site of Base64, had the address 37 North Terrace, Kent Town. This was changed to 64 North Terrace when the northern side of the road was numbered some years later. Holder, with wife Julia and their family, leased the two-storey building from 1901 until 1909, when he died unexpectedly early one morning on the floor of the national Parliament in Melbourne. Frederick William Holder was born in 1850 in Happy Valley, near Adelaide, studied at St Peter’s College and taught at Prince Alfred College before moving to the country as principal of the primary school at Burra. He went on to become Burra’s town clerk, editor and later owner of the Burra Recorder and eventually was elected the town’s mayor. In 1887, Holder was elected senior member for Burra in the South Australian House of Assembly. Just five years later, on June 17, 1892, he became premier and treasurer by defeating Thomas Playford, whose eponymous grandson became South Australia’s longest-serving premier nearly 70 years later. 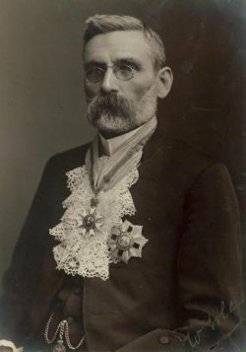 Although Holder’s ministry fell five months later, he became premier for a second time in 1899, holding the role until he moved to the first Federal Parliament in 1901. Holder was a mover and shaker of the times. As Treasurer, he set up The State Bank of South Australia, his second government established libraries in country towns and introduced standard time throughout the State and,, also, completed the Bundaleer and Barossa water schemes. During the 1890s, he also campaigned cautiously for Australian Federation to encourage free trade. The Holder family moved into Wavertree, then owned by the widow of the later Rev. William Roby Fletcher, in 1901, the same year as the first Federal Parliament. Holder was elected as its inaugural Speaker, a position in which he earned widespread respect for the next eight years. He was knighted in 1902. However, Holder was never a robust man, so the campaign for Federation, establishing the new parliament and the vigorous interplay of the parties all took their toll. Holder reportedly collapsed in the Parliament at 5.06am on Friday, July 23, 1909, after presiding over a raucous all-night session of the House of Representatives. His last recorded words during that tumultuous final session were: “Dreadful! Dreadful!”. He died that afternoon from cerebral haemorrhage without recovering consciousness. The Adelaide Town Hall bells tolled the news of his death. After a memorial service in Parliament House – then housed in Melbourne’s Royal Exhibition Building – Holder’s body was conveyed by special train to Adelaide, arriving at 7am Sunday, July 25. The train included a private car to carry Federal Ministers and MPs, Senators and senior administrators to farewell the Speaker. Sir Frederick Holder left Wavertree for the final time at midday, on Monday, July 26, for a short service at the Kent Town Methodist Church before his long cortege proceeded through the city to his burial site at the West Terrace cemetery. Sir Frederick was survived by his wife and their eight children and his name is memorialised in the Canberra suburb of Holder.